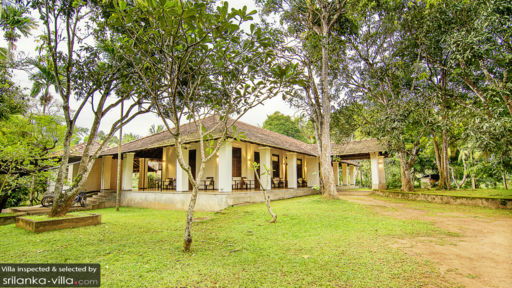 Found near the town of Wathurugama, Comilla Bungalow traces a rich historical past that spans centuries with the land being passed down through generations to what it is now, a luxury boutique holiday home for guests. 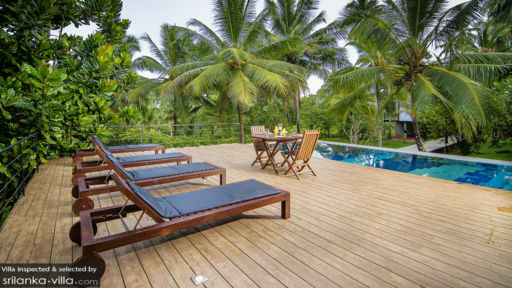 Sri Lanka’s many phases are encapsulated within the very walls of this Dutch-inspired architectural wonder which is surrounded by vast plantations of tropical fruits! Cared for with utmost devotion, the bungalow is inspiring to say the least, with the sense of serenity and calm it offers to its guests. 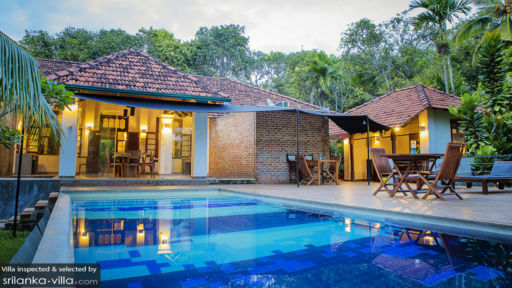 Comilla Bungalow features five bedrooms – Silva Lodge and Knox Studio – each designed in a similar Dutch fashion with ivory walls and dark-wood furnishings for an antique and vintage ambiance. The bedrooms are one-of-a-kind, with varied experiences and atmospheres ensuring you take back memories for a lifetime as you read a book on the rocking chairs, enjoy breakfast on the balcony as the mist drapes the gardens, or breathe in the refreshing air. Amidst the historical aspects of the bungalow, you will find modern comforts as in the en-suite bathrooms that are partially open-air. With excellent amenities including shower areas and bathtubs placed under an open sky, your time at Comilla will be one for the books! Laced with poetry and wonderment, the bungalow reflects a home away from home for guests where they can be at ease and enjoy the many moments life presents. Float around in the infinity pool, enjoy a cup of tea on the veranda while gazing at the plantations, or dine under the lychee tree. Once the sun sets, the tranquillity of the neighbouring area is enhanced several times, where you can revel in the enchantment of this Dutch-period holiday haven. Lush, green gardens have been manicured to their utmost, so you can walk barefoot, lay on the grass and gaze towards the sky, doze off in the afternoon or lose yourself between the pages of a good book! The veranda overlooks the centuries-old lychee tree in the gardens, which can be enjoyed as you relish some tea while lounging on the antique chairs. With a high-soaring, traditional roof, the lobby or the living area at the bungalow is furnished with comfortable sofas, coffee table, and ceiling fans that keep the room cool and airy. The bungalow prides itself in offering an irreplaceable experience blending the outdoors with indoor living, so guests can reap the benefits of their natural surroundings. The alfresco dining area is sheltered under a traditional gazebo, just beside the swimming pool, overlooking the verdant gardens for a delicious view along with an equally, if not more, delicious meal. Shared with loved ones, a dinner in the open air as fresh as Sri Lanka’s is sure to put your mind and soul at ease. There are several corners and nooks where you’ll find chairs and coffee tables, always great as conversation starters. The loving and generous staff will care for you as they do for Comilla Bungalow, making sure you settle in alright and have everything you need. Offering personal guest assistance to make each guest feel special along with familiarizing you with the nearby area, the staff is ready to assist you with your stay and travels. There is a lot to see around the bungalow including ancient rock temples where you can immerse yourself in the history of the land. Rent bicycles to take a trip around town, learning about how the locals do their daily business, birdwatchers will be delighted to know that the bungalow is often visited by exotic peacocks and other creatures. Meditation sessions can be arranged for by the staff for a cleansing of the soul!